Both of my book clubs kicked off recently, and as you may remember, I promised to review each book. 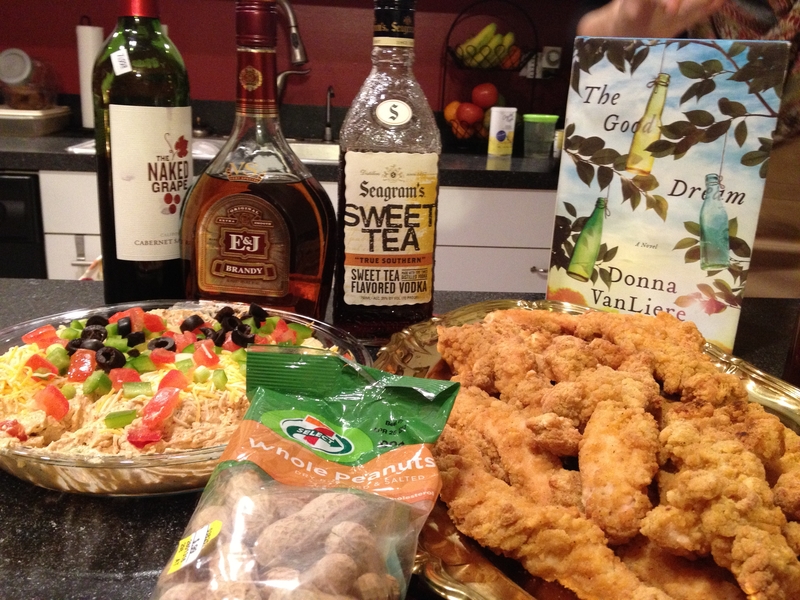 In my first club, Libby hosted a Southern themed get-together, complete with fried chicken, sweet tea (vodka) and sugary pecans to discuss The Good Dream by Donna VanLiere. It’s not that I hated this book. The story was fine and I breezed through it in a day, but it was basically a poor-man’s The Help with less developed/interesting characters. And for a topic that is pretty intense (the boy has been sexually abused, neglected, and can’t speak because he has a cleft palate) everything gets unrealistically wrapped up neatly with a little bow by the end. I think I would have preferred this book if the author had gone a less safe/comfortable route in approaching the boy’s struggles and recovery (in the book he is fine and dandy in a few months time). But given that before this novel she wrote Christmas stories, I get the feeling that happy endings are more her style. Don’t get me wrong, I enjoy a good happy ending (I do read a lot of young adult fiction). But in this case it just felt like a cop out. It also dawned on all of us as we were discussing the book that, duh!, Donna VanLiere is a Christian writer…at which point we decided to dub this monthly meeting of the minds The Accidental Christian Book Club.